Don't forget about the Occasions Catalogue and retiring products! Even though everyone is so excited about the new Stampin' Up! 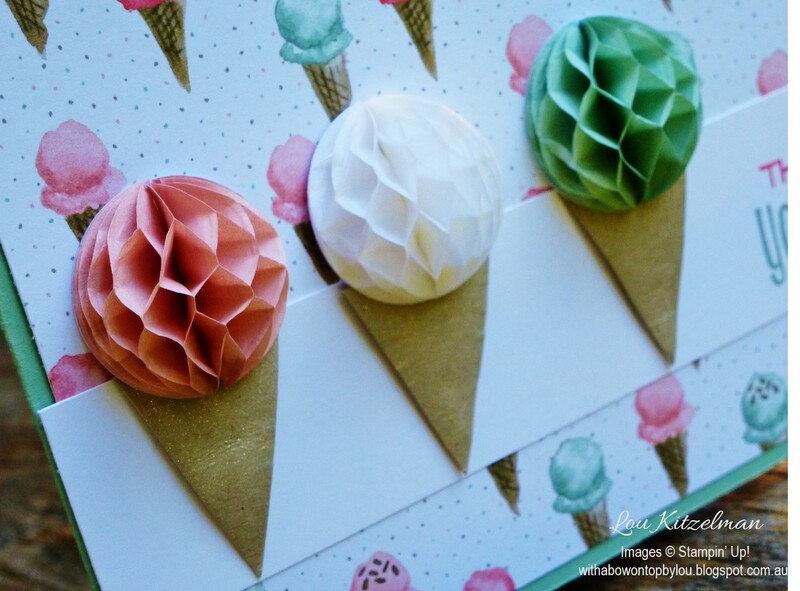 catalogue that is due to be released in 2 days time (June 1) don't forget that you still have 2 days to order from the Occasions and current Annual Catalogues. Some of the fantastic products in them are continuing but not all so make sure you get in quick. Also there are lots of great bargains to be snapped up with some of the retiring products. 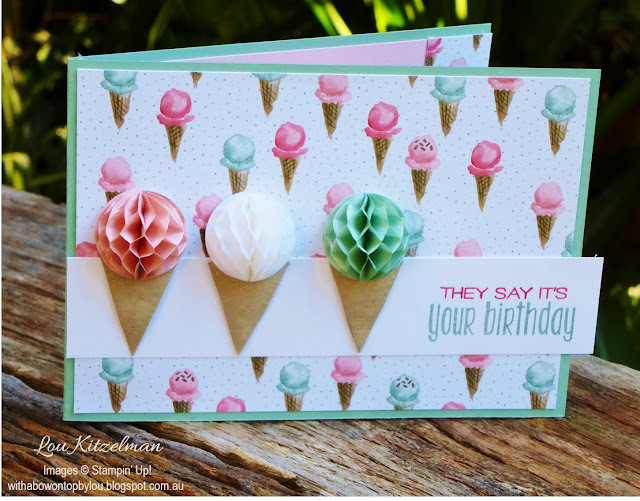 For our class today we did 2 different pop out card types using some retiring products. 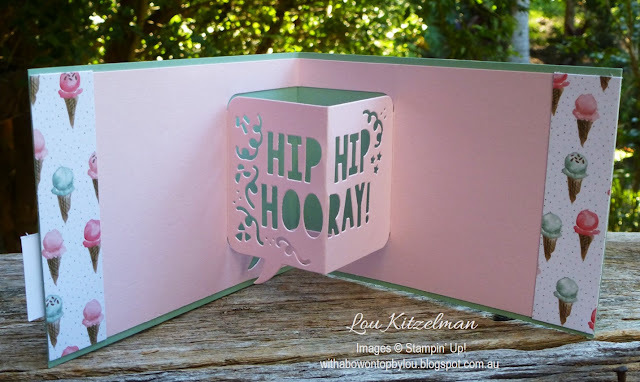 The first type of card fold was using the Party Pop-Up thinlits (which are not retiring - yay!). These cute Honeycomb Embellishments make great ice creams I think. A coat of Clear Wink of Stella adds a nice touch. 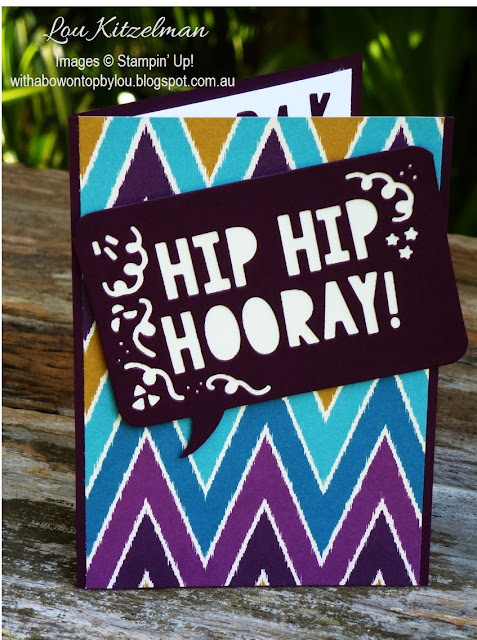 For this card I have kept it very simple and let the Bohemian DSP speak for itself. 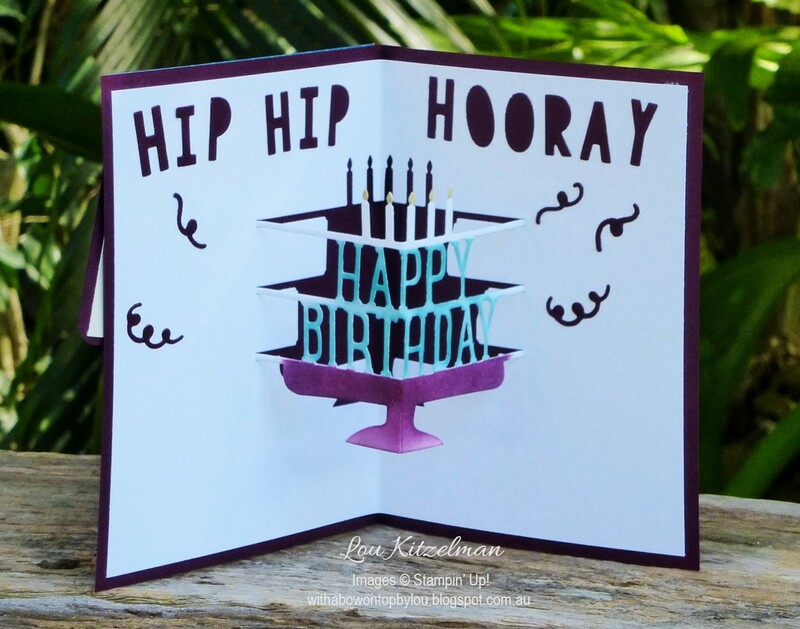 I kept the letters from the speech bubble on the card front to add some detail to the inside. To bring out the letter details I've slipped a piece of scrap paper under the pop up piece and daubed ink on it. They make quick and easy cards and the pop-up part really adds the wow factor.